The UAW protested outside Lear's annual shareholder meeting today near Detroit, calling attention to safety issues at the company's seat plants in the South. “Workers at auto parts plants nationwide are standing up and speaking out against low wages and unsafe conditions that now define far too many of America’s auto jobs," UAW Vice President Cindy Estrada said in a statement today. "Auto jobs once helped build America’s middle class, but today many workers are forced to rely on public assistance just to get by." But Lear spokesman Mel Stephens said the company’s plants are safe and that the union’s safety concerns are without merit. The union is also eager to organize workers at the company’s seat and parts plants in the South, Stephens said. The union contends that workers at Lear’s foam production and seat parts plant in Selma, Ala., have been subjected to unsafe levels of chemicals used in manufacturing. The U.S. Occupational Safety and Health Administration issued two administrative citations against Lear in November for failing to provide workers with appropriate protective equipment and safety training. Stephens said those issues have been addressed. Moreover, every test run by OSHA at the plant and tests conducted by independent contractors have shown the environment to be safe, he said. And there has never been a workers’ compensation claim for air-quality issues, Stephens said. 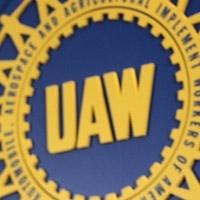 The UAW, citing a report by NBC News, said there is evidence showing five workers at the plant suffered work-related health problems. “Lear has no credibility when it comes to safety problems at its Selma plant," Letasha Irby, a worker at the Selma plant, said in an e-mailed statement from the UAW. Stephens said the UAW wants to organize workers at the Selma plant. Lear welcomed a vote to determine if the 90 hourly workers there wanted the UAW as its collective-bargaining agent, but a vote scheduled last year was canceled, Stephens said. About 70 percent of Lear’s dozens of U.S. manufacturing plants have a union, Stephens said. But that’s not the case in the South. The automakers that Lear supplies in the South are nonunion and so are Lear’s factories, he said. The UAW, in its statement on Wednesday, cited Hyundai, Mercedes and BMW among the customers that Lear supplies. Lear, of Southfield, ranks No. 10 on the Automotive News list of the top 100 global suppliers with worldwide parts sales to automakers of $16.23 billion in 2013.